Pest description and crop damage Adults are predominantly gray with a wavy brown line across the wing covers. They are about 6-8 mm long. Larvae resemble strawberry root weevil larvae in appearance and life cycle, and also feed on roots. 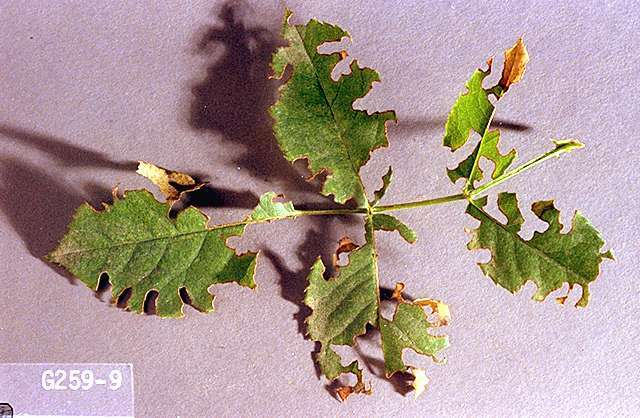 Adults feed on foliage; they cause little damage to leaves but may contaminate fruit in mechanically harvested fields. Biology and life history Weevils overwinter as larvae in the soil. Feeding may occur throughout mild winters. In April-June, larvae pupate, and adult emergence occurs. 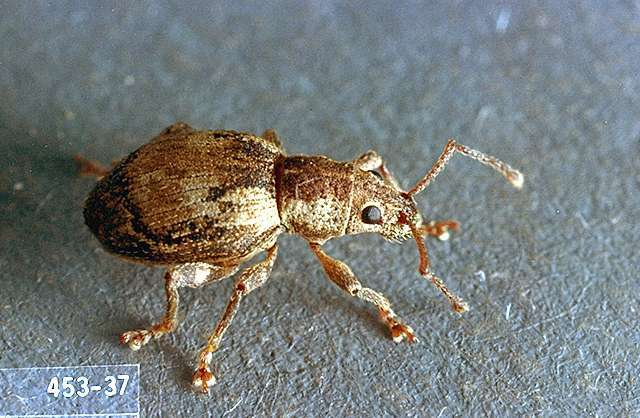 Unlike other weevil species found in caneberries, the obscure root weevil is known to stay in the plant foliage during the day and remain inactive, becoming active and feeding at night. However, some obscure root weevils do migrate to the soil during the day and climb up to feed on foliage at night. Adult weevils cannot fly, but walk or are carried from one location to another by equipment. 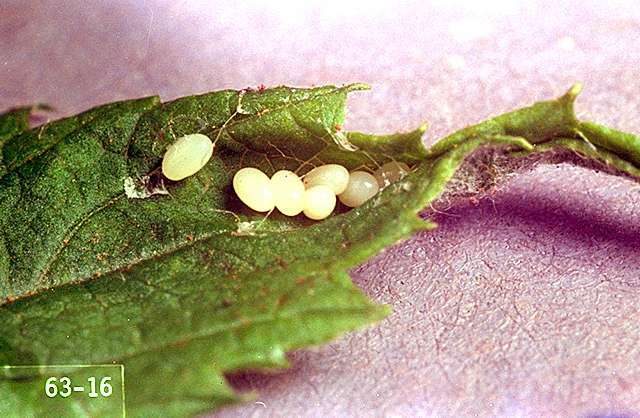 All adults are females capable of laying hundreds of eggs. Scouting and thresholds Observe leaves for notching from adult feeding in early summer. Controls should be undertaken soon after adult feeding is observed, but before egg laying occurs, generally about four weeks. Presence of adults can be confirmed by night inspection of foliage on warm, still evenings. Or, look for adults in the day in the foliage or by looking through debris at the base of the plant for those weevils that have migrated. Wrap the trunks of the plant with cardboard and check underneath in the early morning. beneficial nematodes-Nematodes, such as Heterorhabditis spp. and Steinernema spp., have shown some effectiveness in controlling larvae when applied as label directs, as a drench in the fall. Nematodes must be placed in the root zone where weevil larvae are present. esfenvalerate (Asana XL) at 0.05 lb ai/a. PHI 7 days. Apply as a pre-bloom or post-bloom spray only. Remove bees prior to application. Asana can act as a bee repellent; do not apply within 7 days of pollination. For maximum safety to bees, apply in the evening after sunset. Label allows use for weevil control in Washington and Oregon only. Because of pollinator hazard, WSU entomologists do not recommend its use on red raspberries. Restricted use pesticide. malathion (several brands) at 1.75 lb ai/a. PHI 1 day. EC formulations may leave an oily film on fruit when used near or during harvest. Toxic to bees; do not apply when bees are foraging.